Since 2008, Norfolk State University has honored graduates who demonstrate exemplary leadership in their professions and in the community with the Distinguished Alumni Award and the Graduate of the Last Decade (G.O.L.D.) Award. These alumni personify the mission and goals of the University. Bishop Kim W. Brown is the senior pastor of Mount Lebanon Baptist Church, affectionately known as The Mount, which has locations in Chesapeake, Virginia, Newport News, Virginia; Elizabeth City and Charlotte, North Carolina. As Pastor, he brings creative and innovative vision and takes an “out of the box” approach to ministry, which appeals to all cultures and age groups. Since his tenure with The Mount, which began in 1990, he has watched the congregation grow from 75 to over 13,000 with evidence of continued growth. 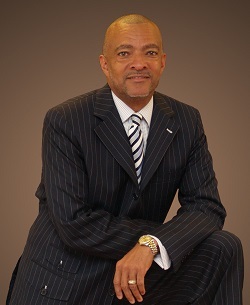 Bishop Brown received his Bachelor of Science in Engineering from Norfolk State University. His academic preparation for the Gospel included a Master of Divinity degree and a Doctorate of Ministry degree, from the Samuel D. Proctor School of Theology at Virginia Union University. 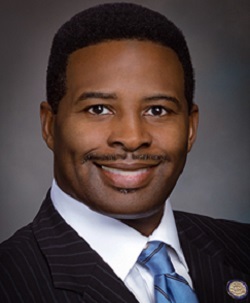 Delegate C. E. Cliff Hayes, Jr. graduated from Norfolk State University with a degree in Computer Information Systems in 1991. While at Norfolk State University, he was a member of the baseball team, Omega Psi Phi Fraternity, Inc. and the NSU Chapter of the NAACP. Delegate Hayes continued his studies in management and leadership at numerous institutions including the Sorensen Institute for Political Leadership at the University of Virginia and the Executive Leadership Program at Harvard University’s John F. Kennedy School of Government. He also holds a master of management degree in Business Administration from Cambridge College and is a Certified Chief Information Officer through the CIO Institute at Carnegie Mellon University and the Federal CIO Institute. 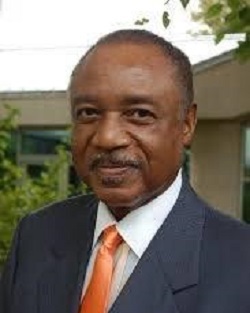 Dr. James E. Savage, Jr., earned a bachelor’s degree in Psychology from the Norfolk Division of Virginia State College in 1968. He later earned his master’s and doctoral degree from Northwestern University in Evanston, IL. Dr. Savage is a notable and licensed clinical psychologist with more than 48 years of experience. He has devoted his life and career to the betterment of individuals and families by providing counseling services at both the Institute of Life Enrichment and the Center for Life Enrichment. Through the decades, he has provided an African-American mental health presence in the Baltimore and District of Columbia Metro areas.